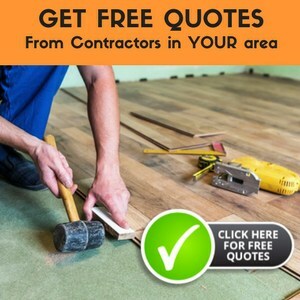 When you think about it, using vinyl flooring is one of the best choices you can make. It’s affordable. It’s durable. It’s easy to install. But it also takes more maintenance compared to ceramic tiles. It is more prone to showing dirt and stains. Caring for your vinyl flooring involves knowing the right methods, using the correct vinyl floor cleaners and taking preventive measures. 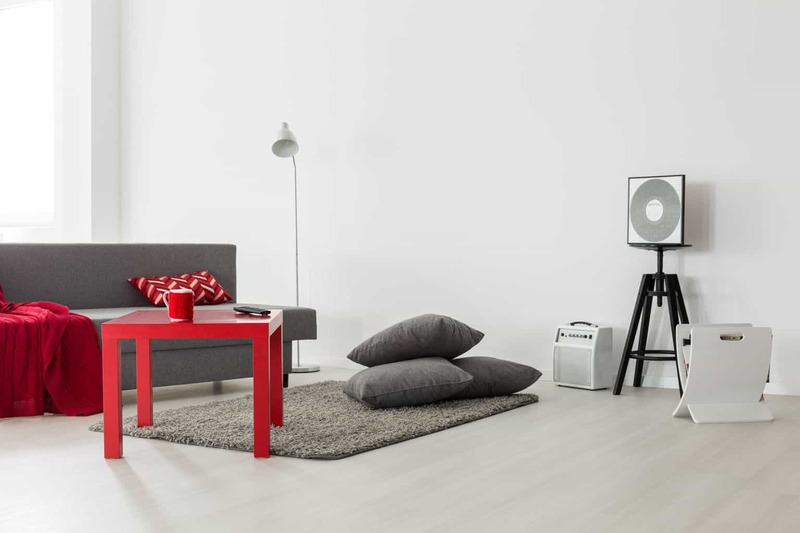 Here are the things you need to know to keep your vinyl floor looking great for many years. 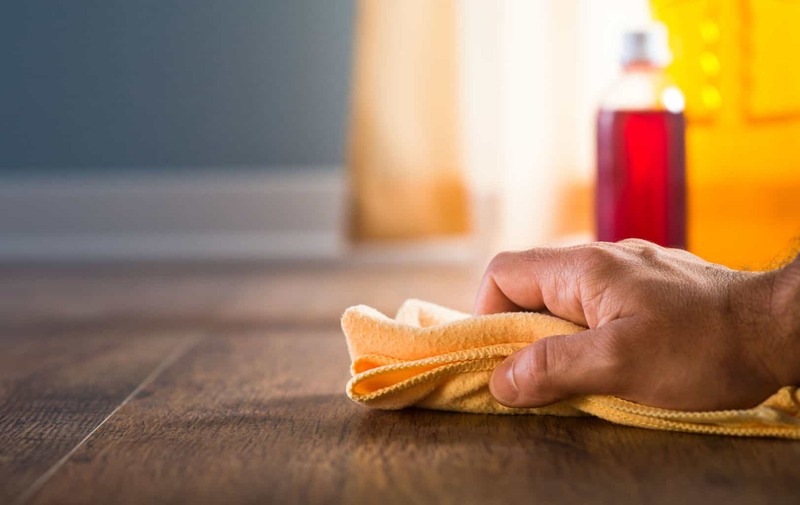 When you take the time to clean the floor at least once a week, it prevents dirt and dust from accumulating over time. 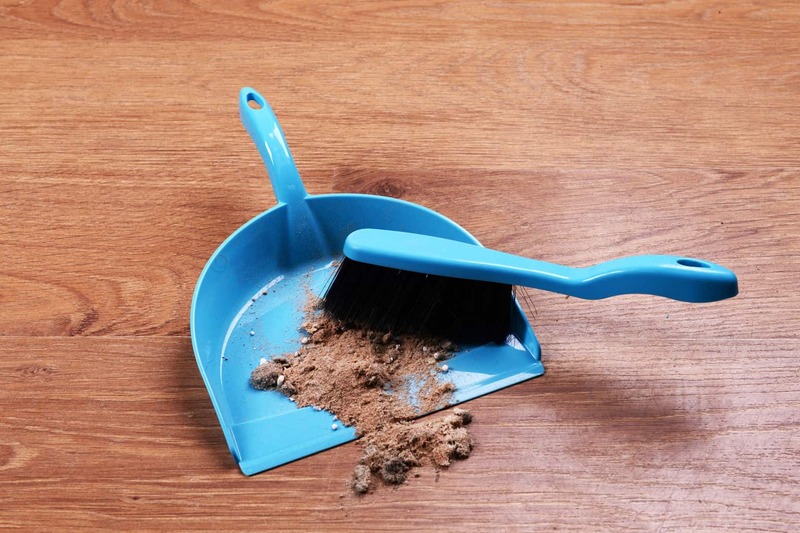 Dirt can scratch and cause wear on your floor faster if left untouched. Clean your floor daily with a broom. On some days, you can vacuum the floor. Make sure you have done either before wet cleaning with water and a sponge mop. How do you clean vinyl floors? First, you should know what kind of floor you have. There are different types of vinyl flooring in terms of the protective layer on the surface. 1. Traditional vinyl floors have a matte finish, and can be shined through waxing and buffing. If you have this type of floor, you can keep it clean with detergent and warm water. You can also use designated cleaner for wax vinyl floors. Apply just enough pressure to remove the dirt. 1. No-wax vinyl flooring is now more popular because it is easier to maintain. It has a protective wear layer so it doesn’t get stained or scratched easily. Many recommend using microfiber mops for daily cleaning. Dust the floor before damp mopping the surface. There are cleaning solutions made specifically for no-wax floors such as those from Armstrong or Trewax. Use them and follow the instructions on the container. Stay away from strong, abrasive or heavy-duty cleaners. They can strip away the shine of the top layer. A urethane protective layer is tougher than no-wax vinyl. The coating lasts longer and doesn’t require the use of a polishing solution. Damp mopping should be sufficient in maintaining its shine and appearance. Vinegar as a homemade vinyl floor cleaner is a great yet affordable option for cleaning vinyl floors. It has the correct level of acidity needed in removing dirt and grime. At the same time, it doesn’t strip off the wax layer or leave behind any soap residue. To clean vinyl floors with vinegar, simply mix one cup of vinegar with a gallon of hot water. Keep your mop at a damp level and frequently rinse the mop with warm water. Avoid using red wine vinegar or white wine vinegar, because they are highly acidic and high in salt content. 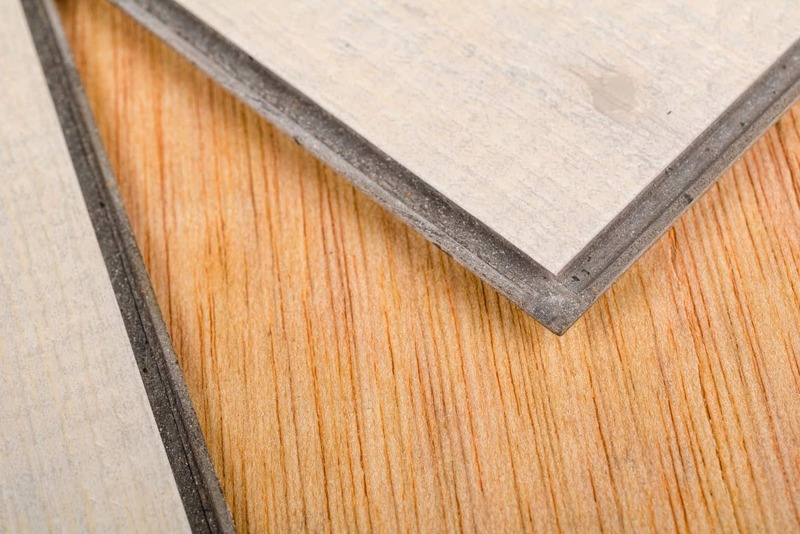 This can damage your vinyl flooring after some time. The best type of vinegar to use is apple cider vinegar, because it also serves as a disinfectant. You can add a few drops of dishwashing liquid to the solution for extra strength when cleaning off dirt. Wipe off the soap by mopping a second time with only vinegar and water. You have to know the products that are harmful to your floor. Do not use steel wool scrubbers or pads that are as coarse. You also should not use detergents, because they can leave residue on the floor. Avoid incompatible mop-and-shine cleaners, wax and other solvent-based polishers. Avoid cleaning vinyl floors with ammonia at all costs. It is a toxic substance that can cause respiratory problems or failure. It can also cause skin and eye irritation. Over time, your vinyl flooring will start to lose its shine and luster. So how do you restore old vinyl flooring? By making it shine. The same rule of using the right cleaning solution applies. Use the correct polishing remedy for wax or no-wax vinyl flooring. Before you start applying wax or polish, sweep the floor to remove dirt and dust. And then damp mop the floor with warm water. Deal with tough stains by using a vinegar solution, rubbing alcohol, baking soda, etc., depending on the type of stain. Choose a polish that is compatible with your floor; preferably the same brand as your floor. ​Apply the first coat using a high quality mop or manufacturer-recommended applicator. Wait around 30 minutes until the polish is dry. ​Apply the second coat. Always refer to product instructions. Wait for at least one hour before stepping on the floor. ​Wait for several more hours before bringing the furniture back in. Remove or strip the old wax layer using a stripping solution​. Mix it with water in a large bucket as prescribed on the label. ​Wet the mop or rag with the stripping solution and then spread it on the floor. Let the solution set for around 15 minutes. Scrub the floor with a stripping pad or stripping brush. For large areas, you can use a scrubbing machine. ​Rinse the stripping solution with water and wipe it dry. Rinse it out as soon as possible so the solution won’t set on the floor. Take note that you shouldn’t strip your floor more than twice a year. ​Apply 2 coats of wax as per the manufacturer’s instructions. One example is wax from Lundmark. You can buff the floor after, but it is optional. Maintaining a good-looking floor goes hand in hand with protecting your floor from dirt and scratches. Protection will make a lot of difference in the life of your floor. If you’re not careful with the dust and dirt that comes in contact with your vinyl floor, it can wear out faster than it should. Place a doormat along entryways and high traffic points to minimize, if not eliminate, grit from the shoes of anyone entering the house or room. Use mats without rubber backing to prevent discoloration of your floor. ​Wipe up spills as soon as they occur. Lessen direct exposure to sunlight. Close sun shades or curtains if you don’t need natural lighting. ​Use shampoo to remove any hairspray buildup. Use only a little water when cleaning. Don’t let it flood with too much water, or it will slip through the joints and weaken the bond between the adhesive and the floor. ​Add floor protectors to your heavy furniture and large appliances to prevent dents in your vinyl flooring. Avoid using furniture with caster wheels, because they can scratch the surface of your vinyl tiles. It is recommended that you use felt covers instead. ​When moving around large furniture or appliances, provide a plywood cover along the path first. This will prevent your floor from damage, as the tendency is to drag these items rather than lift them. When using a vacuum cleaner, do not attach the beater bar. ​Most importantly, implement a daily, weekly and monthly cleaning routine. Regular cleaning and maintenance is key to protecting your floor and keeping its original quality intact. As a general rule, broom daily, damp mop weekly, and polish when needed. The condition of the vinyl floor you have reflects how you care for your home. For that reason, you need to clean, shine and protect your floor. Using the tips I’ve mentioned above will help you accomplish this task. As you put in time and effort to care for your floor, it will last for years and will continue looking brand new. It won’t take long for your friends to notice how lovely your floor is, and they may even ask you how you did it.